Costs of each group event varies from a per person fee to a flat rate. Meet Your Power Animal, Drum Circles, Qi Gong, Meditation for Everyone. and Self Healing with Mudra and Acupressure. and a follow-up email with additional information to all attendees. Ask us to bring our full day training certifications to your center. Participate in our referral program to earn more. Understand the message that you receive in your dreams. Enjoy a relaxing evening bathed in full moon energy, and learn how to recall, interpret and journey back into your dreams for enlightenment and wisdom. 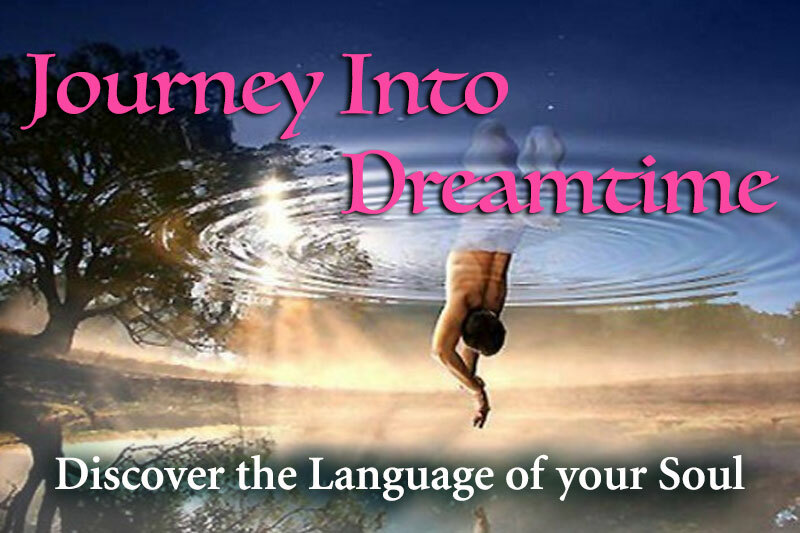 With the help of her drum Chantal will guide you into a journey to the pure land of “Dreamtime” to understand the messages that your Subconscious and Superconscious (message from your Higher Self) give you while you sleep. During this PlayShop you’ll receive tips to recall your dreams, boost your dreaming, learn how to ask your dreams to give you answers to specific questions and guidance for situations in your life... We will choose one dream from one of the participants to learn the process of Active Dreaming, developed by Robert Moss and adapted for this PlayShop). With a minimum 5 participants and a maximum of 20, bring this PlayShop to your home or center. Your cost $150. Ask each participant to bring a journal and a dream they would like to work. Length of workshop is 2 to 2.5 hours. Contact Chantal for details. 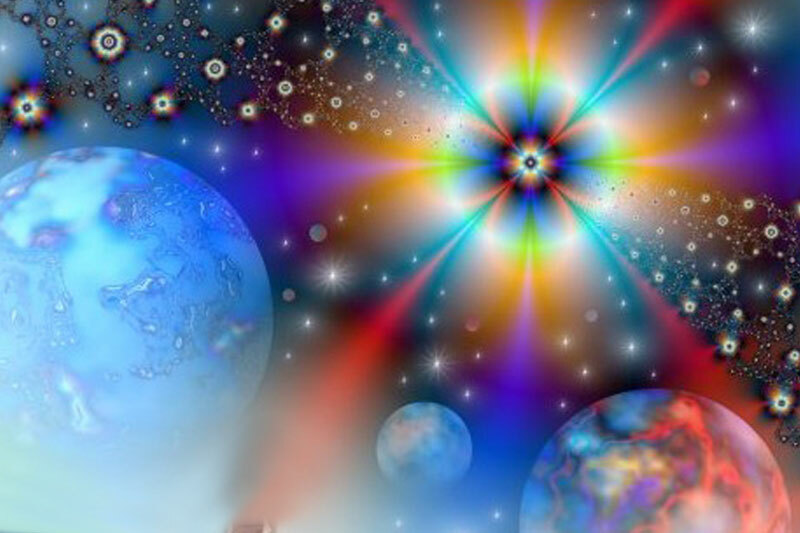 After setting sacred space and making sure that everyone is ready to take their voyage through time, Chantal will guide participants in a personal past life regression. We will end with sharing supported by Chantal’s experience and intuitive insight to get the most out of this unique experience. With a minimum 2 participants and no maximum, bring this PlayShop to your home or center. Your cost $100. Length of workshop is 2 hours. Contact her for details. Challenge your perception of reality with this exploration of time and space. After reviewing the theories of time travel, parallel reality/universe and the evidence of the alleged US government experiments and time travel programs, we will discuss the application of jumping into a future. Participants will learn how and why it is important to set a clear intent as well as the mechanics and benefits of Quantum Jumping; and understand the potential for reshaping our present by integrating our future self. The intent for the evening is to “meet your successful self” and to bring back the imprint of success, associated knowledge and experience with the present self. Chantal then will guide participants in a Quantum Jump into the future. We will end with sharing supported by Chantal’s experience and intuitive insight to get the most out of this unique experience. Each participants will experience find their power as they meet their Power Animal through guided shamanic journey. We’ll open our circle with a shamanic blessing and create sacred space with our rattles, which will be provided or you can bring your own. After an introduction to Shamanism and explanation of the alter state of consciousness called shamanic journey, we’ll have a short Q & A. Chantal then will guide you into a comfortable meditative state during which you will meet your Power Animal to receive wisdom and healing. 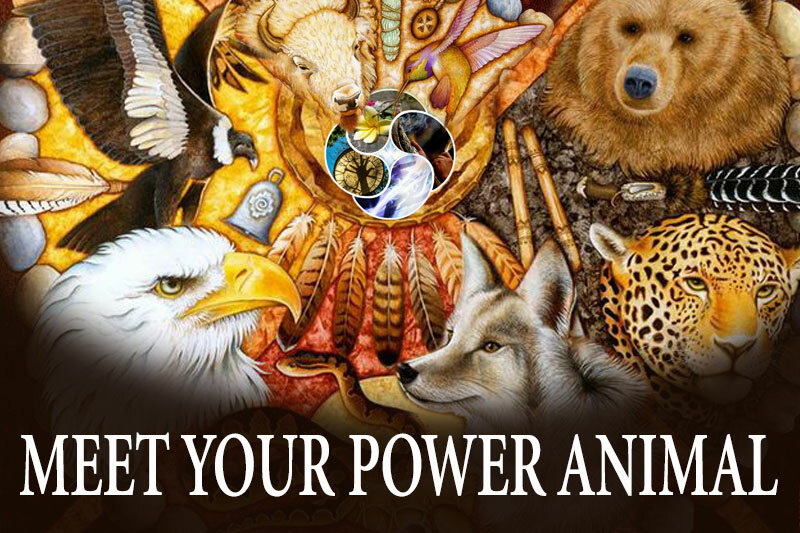 Your Power Animal is the archetype of your primordial self. 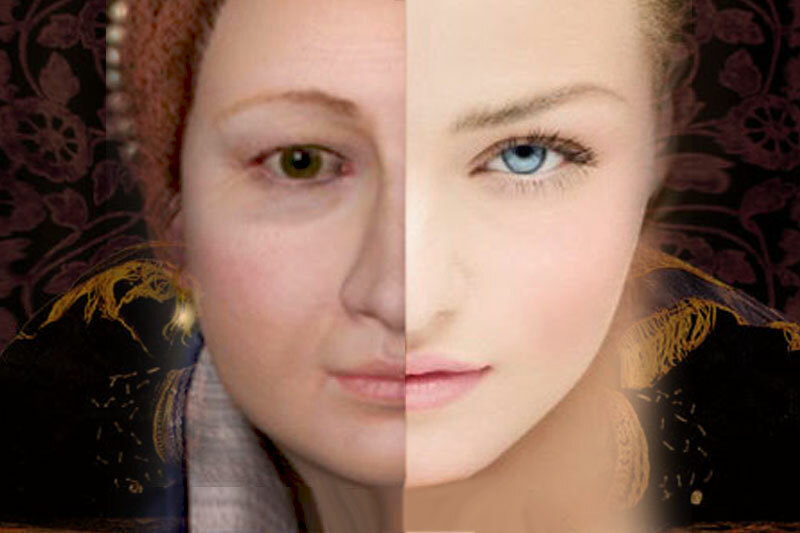 It is unique to you and remains with you during your lifetime, it reveals your personal qualities, talents and gifts. Meeting our Power Animal is always a fulfilling and joyful experience. Bring a notepad and an open heart & mind! Three types of drum circle are available. Host a pure drum circle with Djembe (African Drum) and other percussions (frame drums Native America Drum Rattles… ); the perfect stand-alone gathering or introduction or closure to enhance your event. This is a relaxing gathering for people of all ages and skills including children. 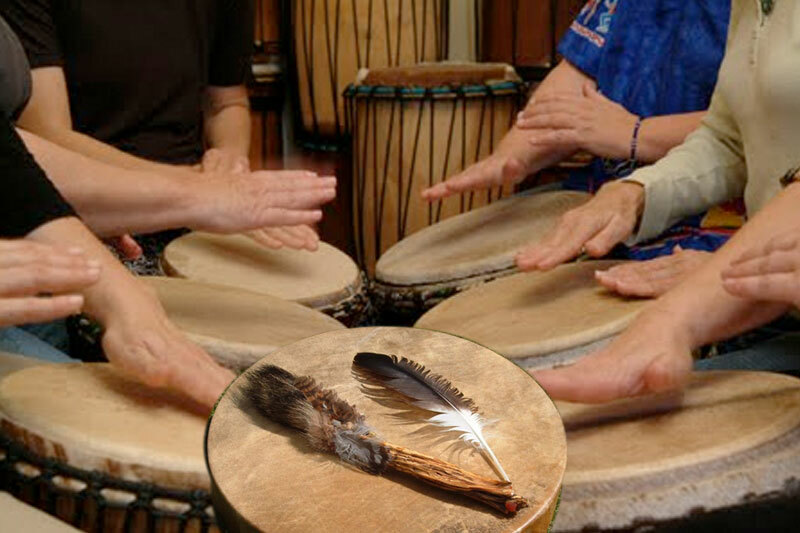 Host a Shamanic Circle with Native American and frame drums, rattles and others, during which the group is lead in a shamanic journey guided by a clear intent. Or all drums including Djembes followed by a guided journey listed below. These last two types of circles include an intent or theme for the participant of the circle. This may be: Release of Limiting Beliefs, Manifesting our Heart’s Desire, Clear the Old & Make Room for the New, Meet Your Soul, Speak to the Higher Self, Travel in Space and Time. Or you can express your purpose and Chantal will create a guided journey for your group. These outdoor events and study groups are offered from May to October. Please follow the link to register and be informed of any last minute change due to inclement weather or unexpected change. From May 15 to October 15. Weather permitting on Thursdays at 6pm.Fort Trumbul Beach Milford CT.
We meet on the beach at the end of Crown Street. All are welcome. Practice starts at 6pm. Bring a towel for the sitting meditation portion of the practice. Sunscreen and water are a must. Cancelled if raining. This form of Qi Gong is always taught free of charge. 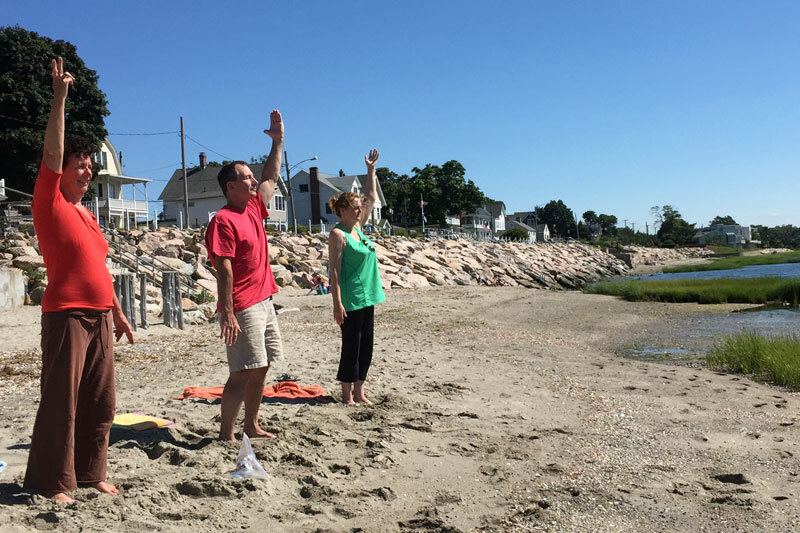 Qi Gong is one of the many ways to energize the body, clam the mind and uplift the spirit. 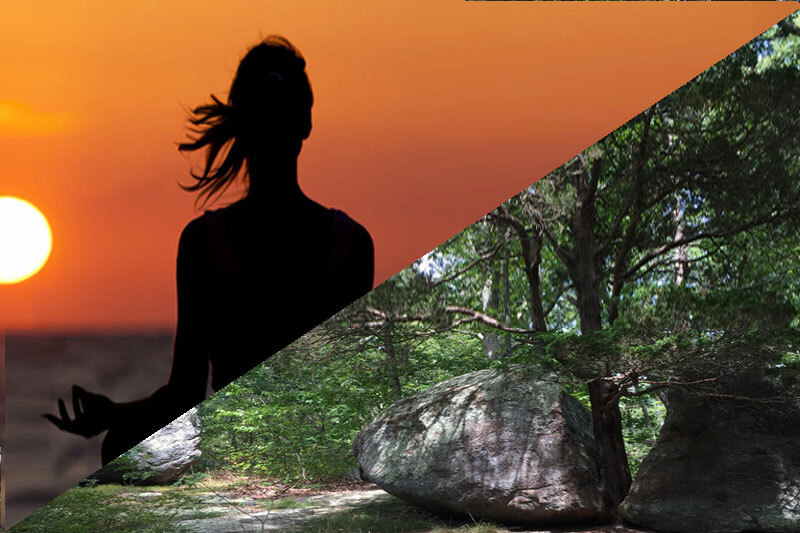 This heart centered practice is especially good for those seeking to relax, improve their health and deepen their spiritual connection to Source. We meet at Fort Trumbull Beach at the end of Crown Street in Milford. Then walk through Silversand State park to Walnut Beach and back. Or we meet at Eisenhower Park (or other park). All are welcome. Bring a towel for the sitting meditation portion of the practice. Sunscreen and water are a must. Cancelled if raining. Exact location announce on iVibe Conscious Living Meetup group and or Conscious Living Facebook group.